Glorious box art in all its glory. 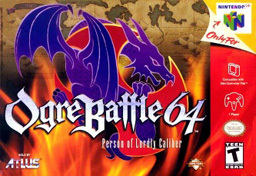 If one were to look for this game online, Ogre Battle 64 would set you back about 70 dollars. Atlus, the ones behind this masterpiece, sent out a limited number of cartridges of the game for it’s US release. I was lucky enough to own this piece of art when I was a pint-sized gamer, but when I grew into a dumb teenage gamer, I sold it for about 10 dollars. Little did I know that Ogre Battle 64 would become quite the rare gem. 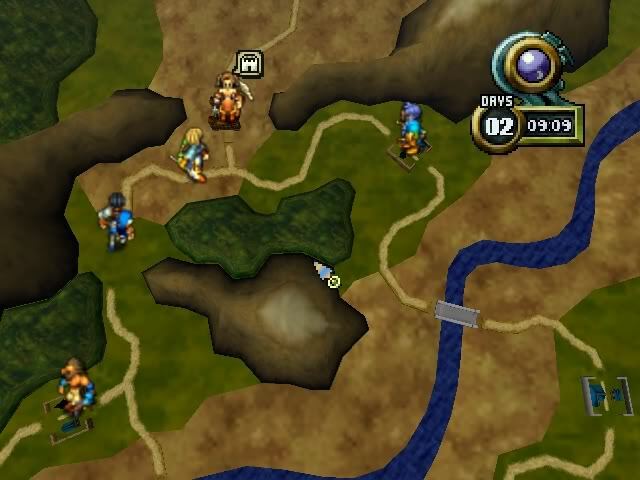 If you’ve never played the game before, it’s essentially a Strategy-RPG game. Players control units on the field and these units combat other units (shocking!). Units contain up to five different characters which are made up from over 40 different class styles. There are even monsters, dragons, zombies, angels, and goblins that can be recruited to the army. Some missions can take up to an hour to complete later in the game, and each mission becomes more and more difficult as you progress. For the completionist there are tons of different endings you can unlock based on your choices throughout the story. There are the typical good and bad endings, but there are also a lot in between. Good luck trying to unlock them all. Speaking of the story, this is one of the best I’ve experienced in my gaming life. There are a multitude of twists and evil-doers that makes one’s blood boil. The characters deep and unique, and each character has his or her own feel, no two will feel alike. You can get some killed permanently during your quest, or you could save their lives. You can recruit some, or see them ally themselves with the enemy. The field map. Looks cool ‘eh? The music is catchy, the graphics were excellent for the N64, and the gameplay was solid. 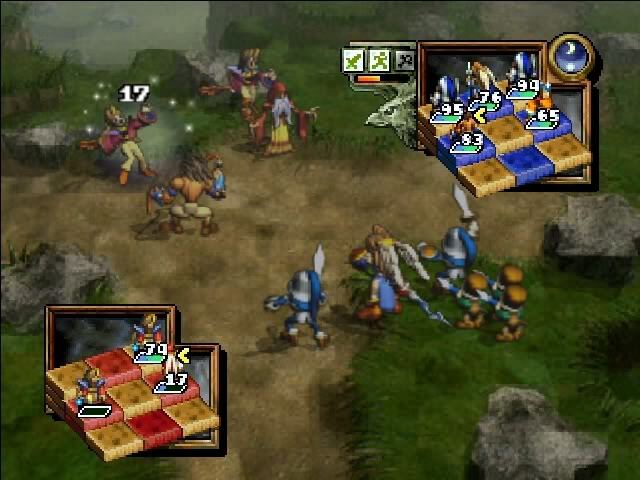 Battles are auto-controlled but the player can issue commands to each unit as to how they will do battle. I began playing the game again recently and I was shocked at how much the diffifulty ramps up when you have under-leveled units or bad units in general (I seem to get worse at these games as I get older). All in all, Ogre Battle 64 is one of the greatest unknown games that exist today. If you’re a fan of epic strategy-RPG’s do yourself a favor and spend a lot of money on this game.